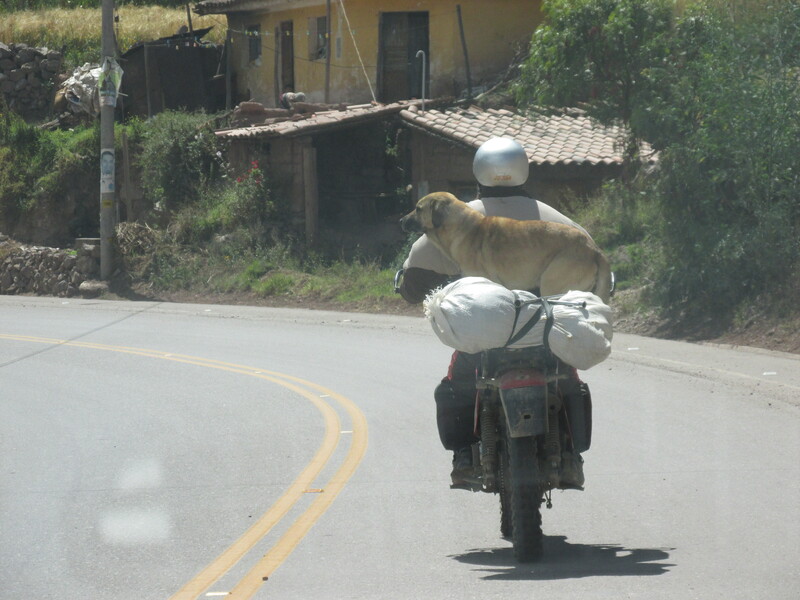 Somewhere in Peru, on a winding road between a river and a mountain. I used to like when Otto would do his “room with a view” series, many moons ago. This entry was tagged dog, motorcycle. Bookmark the permalink.